Alien: Covenant came and went like a flash in the pan. Heading into 2017, it was one of the most buzzed about sequels being released, but that buzz fizzled pretty quickly and it didn't translate to box office success. That hasn't stopped Ridley Scott from having some very big plans for the Alien franchise, which includes at least one prequel to the original Alien that will take place after the events of Alien: Covenant. Now, thanks to a newly surfaced interview clip, some story details for Alien: Awakening, the proposed Alien: Covenant sequel, have surfaced. Warning: spoilers ahead for Alien: Covenant. The clip made its way online via the Ding Dan YouTube channel, and it appears to be an interview that Ridley Scott did prior to the release of Alien: Covenant. In the video, the director talks about where the story for the sequel, currently titled Alien: Awakening, will go. He doesn't reveal too much, but it's a lot more than we knew previously. Here's what he had to say about it. "We're being written now. There'll be three or four different players coming in to investigate. One of which will be the Engineers arriving back to find their planet decimated. I think those ships come and go on regular intervals. I see them as the gardeners of space. Where we go next is obvious. We're gonna actually go to the planet. In so doing...I'm not going to tell you the story!" Given how Alien: Covenant ended, this seems to make a lot of sense. The planet was left in really bad shape, with the Engineers all killed off, thanks to David's sadistic arrival. The idea of several people "investigating" this incident is interesting. But the real question is, what planet is he talking about? Is Ridley Scott saying the Alien: Covenant sequel will be going back to the planet that David was on for all those years? Is he saying we are actually going to go to the real Engineers homeworld? Does he mean Origae-6, the planet that David seemed to be headed to at the end of the movie? Or, perhaps most sensibly, does he mean LV-426, the planet from the original Alien? Lots of questions. But sadly, we may never get them answered. Ridley Scott has, or maybe just had, some very lofty plans for the Alien franchise following the release of Alien: Covenant. He wants to do one more prequel to the original Alien, Alien: Awakening, and, if Scott still gets his way, there may be another entire trilogy of Alien movies at some other point in the series' timeline. The problem is, the movie has not done all that well at the box office. 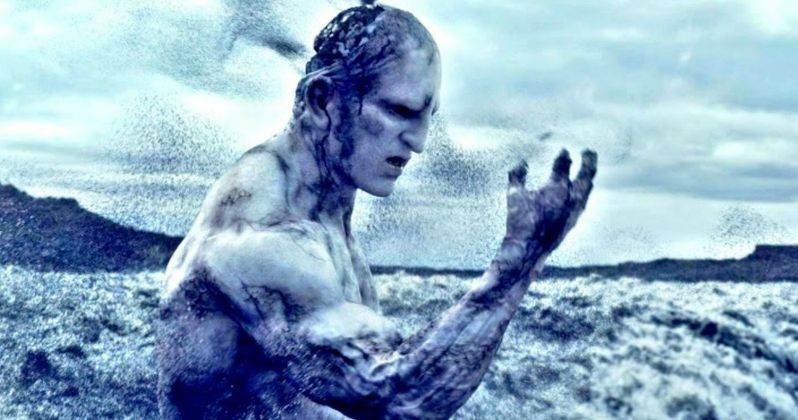 It currently sits at $213 million worldwide, which is about half of what Prometheus made. So we may not even get to see Alien: Awakening at all at this point. It would be frustrating not to get any resolution. The ball is in Fox's court now. You can check out the interview clip with Ridley Scott for yourself below.